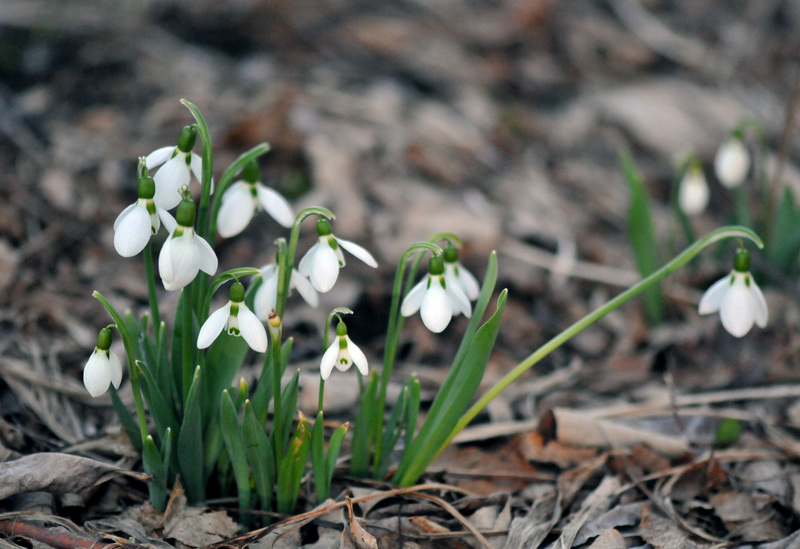 A sure sign that spring is coming is when the little Common Snowdrops (Galanthus nivalis) push themselves up above ground. 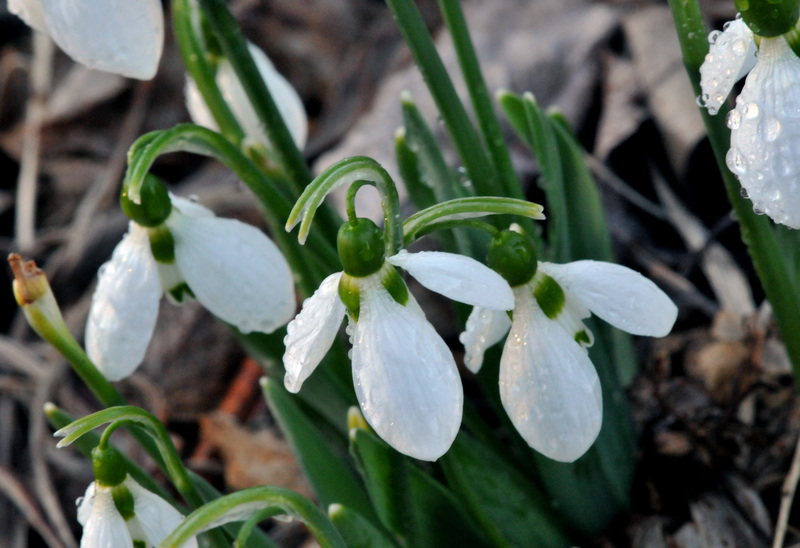 Our Common Snowdrops have already blossomed with white delicate flowers like little lanterns shining spring light. Don’t let the delicate looking petals fool you, they are tougher than they look. I used to rush to look at them in the morning after a snow fall overnight or when the temperature was down to a little bit above 20 degrees to make sure that they survived. They always look happy and playful in the morning wind. They are very easy to grow. You just put the bulbs in the ground in autumn, give them some good dirt and wait for spring to come. The deer won’t bother them. I will have to do something about the Lily of the Valley (Convallaria majalis) that appeared to crowd this little beauty a bit too closely last year. I think I will dig some of the lilies out to provide room for the Snowdrops. As much as I don’t like growing bulbs since they will disapper underground after spring blossoming, Snowdrops are one of the exceptions. If you want to grow something that will push your late winter depression away; I give you Snowdrops. Their appearance is a confirmation that life goes round and round; after a dark and moody winter, there will be a bright spring.